Minister Ruairi Quinn has stressed that there are currently no plans to reassess resource levels. TEACHERS ARE CALLING on government to launch a nationwide audit of PE facilities in schools. It follows questions to the Minister for Education from Independent TD Denis Naughten on the state of these facilities and the level of resources available for teachers. However, Minister Ruairi Quinn responded by stressing that there are currently no plans to carry out an audit. “Due to current financial constraints, it is not possible at this time to approve applications from existing post primary schools for additional PE facilities as priority is given to essential mainstream classroom accommodation,” he added. The Director of the National Association of Principals and Deputy Principals (NAPD) said he was “surprised” by the Minister’s response. “Anecdotally the NAPD is aware of the difficulties faced by schools in meeting the recommended PE time allocation because some schools do not have adequate facilities or teaching resources to implement PE programs for students,” he explained..
With post primary pupil numbers expected to increase by 15% by 2020, it is difficult to see how this shortfall can be addressed. All the while our national obesity problem continues to grow. He described an audit as the “first crucial step” towards tackling rising obesity levels among Irish school children. Email “Audit of PE facilities in schools "crucial" to tackling obesity”. 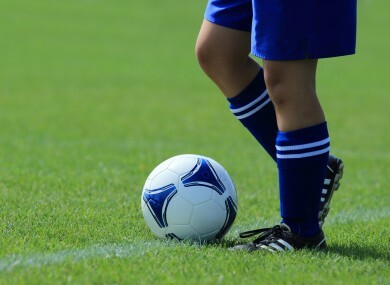 Feedback on “Audit of PE facilities in schools "crucial" to tackling obesity”.